Key Difference: The primary between bubble gum and chewing gum is that the bubble gum is designed primarily to blow bubbles. Hence it tends to be more elastic and stretchy, thus making it easier to blow bubbles. Whereas, the chewing gum tends to be smaller in size and more chewy. Nearly everyone enjoys a nice piece of gum. It has a great flavor, keeps you distracted and busy, while also exercising your jaw; what’s not to love?! However, what a lot of people who enjoy this don’t realize is that there are two different types of gum: bubble gum and chewing gum. Most people either don’t realize that there are more than one type of gum, i.e. bubble gum and chewing gum, or if they do, they mistakenly think that the two are the same, and that the different names are just a marketing gimmick. Humans have been chewing gum for over 6000 years. In the beginning, it was the resin from various trees that people chewed. The resin used to be hard, sticky, and chewy. It served a three tiered purpose in those days: It was tasty and often used as refreshment. Some of the types of gums often had antibiotic properties, and hence helped maintain oral hygiene. It also helped ease the human need to masticate, i.e. chew. Today most chewing gums are synthetic, but this need to masticate still exists today, and is one of the reasons that chewing gum are still so popular today. They are also quite fun, as one can use them to blow bubbles. The primary difference between the two is highlighted in their names: a bubble gum is a type of gum that is developed for blowing bubbles, whereas a chewing gum is developed for the purpose of chewing. However, while each can do both, i.e. a bubble gum can be primarily chewed, while the chewing gum can be used to make bubbles, they can’t do the other’s job quite effectively. The bubble gum was accidently developed by Walter Diemer in 1928. He was experimenting with new gum recipes when he found that one particular recipe was less sticky and stretched more easily than normal chewing gum. 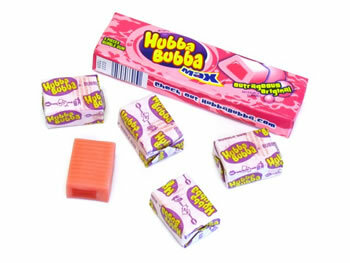 These properties also made it easier to blow bubbles with this gum, and when the bubble eventually popped, the gum would not stick to the face or other parts. The gum inherited these properties because of various extra ingredients, such as starches were added to the gum. Chewing gum, on the other hand, tends to be less stretchy and stickier than bubble gum. While chewing gum has existed for over 6000 years, the first modern chewing gum was produced and marketed by John B. Curtis in 1848. He called it The State of Maine Pure Spruce Gum. As the name suggests, the gum was made the resin of the spruce tree. Chewing gums are often marketed as being beneficial for the teeth, for exercising the jaw muscles, and for improved breath. 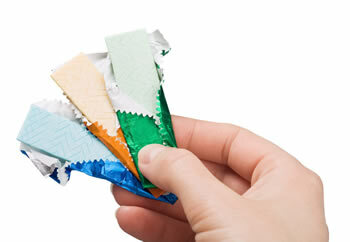 Due to its popularity as a mouth freshener, chewing gum often comes in minty flavors. Bubble gum, on the other hand, is often marketed as being more fun and trendy. Hence, it often comes in bright colors and with fruity flavors such as strawberry, blueberry, watermelon, grape, etc. Mouth freshener, Jaw exercise, Mastication, Oral Hygiene, etc. In 1848, John B. Curtis developed and sold the first commercial chewing gum called The State of Maine Pure Spruce Gum. Available in more flavors such as strawberry, blueberry, grape and many more. Typically available in limited colors such as spearmint, peppermint, etc.